Our new mini gallery and studio in Coconut Grove are available for hire. Arts Access Darwin (AAD) provides arts-based workshops, professional development opportunities and events inclusive of people with disability. AAD partners with disability service providers and arts organisations to increase access to and participation in the arts for people with disability through out the NT. AAD is a member of Arts Access Australia. AAD will work with partners in the disability sector and with Frontline Media to develop assistive technologies, particularly digital tools that enhance artistic production by people with disabilities. CemeNTworx is a community theatre program that offers workshops, productions, and other theatre activities for all ages and communities. Its activities include: CemeNTmix (multicultural youth drama club), CemeNTjam (adult theatre jam group), CemeNTstars (theatre group of people with disabilities), CemeNTfiz (physical theatre) and Emotional Health Drama Workshops for schools and communities in remote areas. CemeNTworx also explores sound, voice, movement, dance, and multimedia practice towards an integrated multi-arts approach to community theatre. The ‘World Mix’ production company concept started as an extension of musical work inspired by cross-cultural collaborations for the ‘Harmony Soiree’ 2017, 2018. The original concept was to produce recording projects that reflect and highlight the diverse musical content in Darwin and to develop a Darwin ‘blend’ that encourages cultural mixture and collaboration. This Bagot Community partnership has an added focus on Aboriginal cultural content which is incredibly diverse in its own right. Current projects at the newly functioning studio space include a program with ‘Aboriginal Resource and Development Services-Public Health Network’ called’Harmony For Health’, which targets Darwin Aboriginal adults and youth considered at risk and in need of local support networks related to homelessness, also issues with alcohol and other drugs. Darwin Community Arts are renovating the original Community Store and Multi-Purpose building after consultations with Bagot Advisory Group and are developing youth and adult programs for the community. We are currently recording traditional songs and languages from across east and west Arnhemland. Frontline explores the relationship between people and places using new media. This project builds on previous and ongoing work by DCA with Indigenous, African, and other communities in Malak and the Northern Suburbs of Darwin. 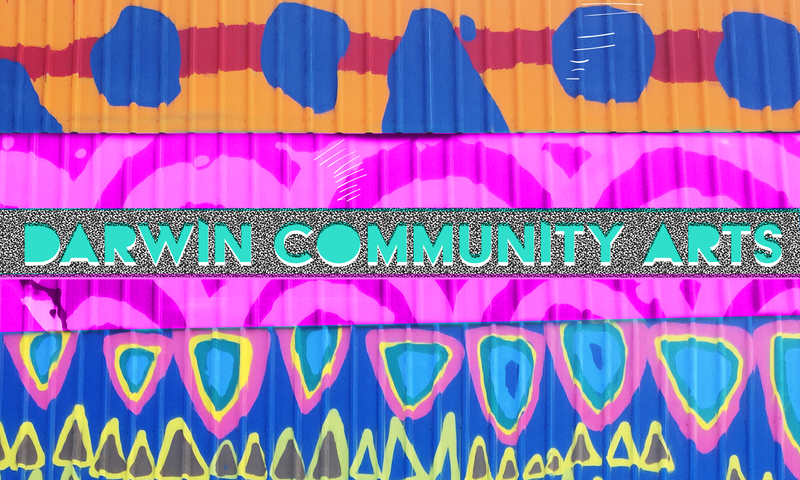 It has developed several digital tools, such as Tagtool and webcam piano, for community use; over the last three years, these tools have been adapted by various community groups in Darwin and beyond. In partnership with Dementia Australia a range of art workshops are held at Darwin Community Arts to increase awareness and support in the community for people living with dementia.